Some minerals will produce light when heated to a certain temperature. Chlorophane, a variety of fluorite, exhibits one of the better known examples of thermoluminsecence. In some cases, even the heat from your hand will cause it to glow green. After several minutes of heating, the green light will fade and the process cannot be repeated. The specimen above is from Trumbull, CT. Chlorophane is very photo reactive and even a few minutes of exposure to normal light, UV light, or heating will destroy it's blue green fluorescence. Heating releases electrons that have been trapped in a higher energy state for hundreds of thousands of years. 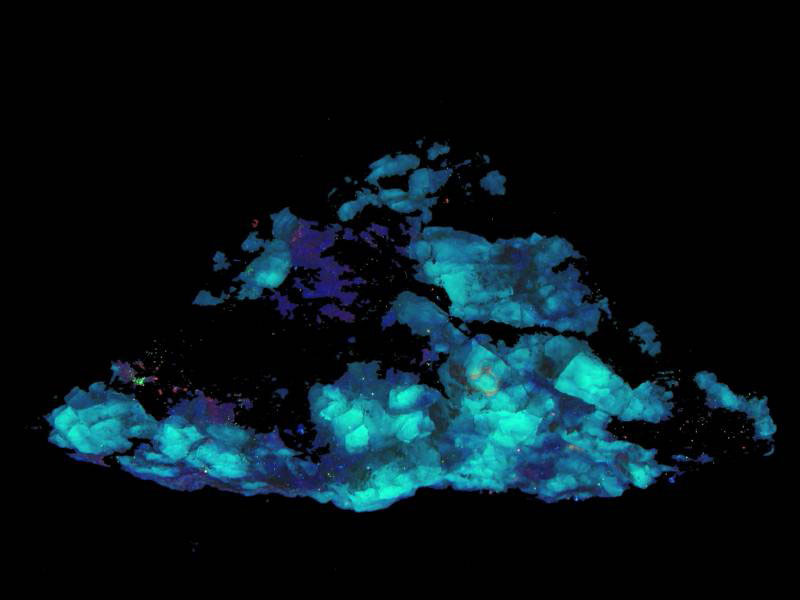 Some minerals are known to fluoresce only when cooled.